There are many rituals closely associated with Italian eating habits – the morning espresso or pre-dinner aperitivo, for instance, the post-dinner digestivo or post-dinner, post-coffee ammazzacaffè, ‘coffee killer’. But one of my favourites is the post-meal passeggiata, gelato in hand. 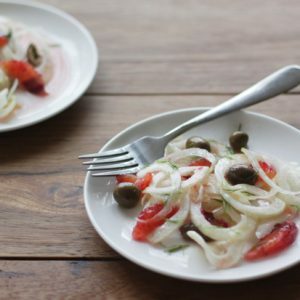 It’s a ritual that’s hard to keep up living outside of Italy, unfortunately. For one, there’s not enough strolling that goes on these days on a regular basis like the passeggiata; two, gelaterie aren’t open until midnight like you find in Florence and three, I hate to say it, but the gelato is just not the same. Generally speaking, artisan Italian gelato is smoother, softer and silkier than its counterparts found abroad and I also find it less sugary, with simple fruit or nut flavours that really sing. But we’re talking about a place that has had centuries of practice – gelato is a true Florentine tradition that can be traced back to the Renaissance (take a look at my article here, tracing this secret recipe from a Renaissance poultry vendor to the courts of Catherine de’ Medici and seventeenth century Paris). Other places have had time to perfect the art of gelateria too – in 1660 a Sicilian began selling gelato to fashionable Parisians; America saw its first gelateria in 1770, opened by a Genovese in New York city. But I think what might have made a difference is that not long after this first gelateria opened in New York, America found a way to begin industralising gelato and gelato makers, bringing ice-cream to every household. In Tuscany, even up until the 1800s the ancient traditions of gelato making were still being practised using snow, pressed into tight, compact blocks and stored in holes carved into the rocky hills, protected from the sun and kept cool, even in the summer. Incredibly, Italy only began to industralise gelato 50 years ago. It might just be that the connection to artisan-made gelato and its texture and pure flavours is still a close one; something like a sun-soaked memory of eating gelato as a child, still lingering on people’s minds, perhaps. My mother-in-law recalls the Sunday afternoon ritual as a little girl in Tuscany in the 1950s when her father would take her to the local gelateria to choose from one of the only two flavours that used to be on offer: crema or chocolate. It’s unthinkable now to walk into a gelateria and have only a choice of two flavours, but saying that, there is something about the classics – my husband Marco still only ever asks for the flavour he liked best as a little boy: fior di latte. 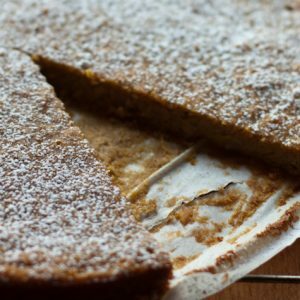 Made from just three ingredients (milk, cream and sugar), it’s as wholesome and simple as can be. It used to infuriate me that he never ordered any other flavour but now I’ve come to realise the goodness in the simplicity of this milk gelato. Vestri at the corner of Borgo degli Albizi and Piazza Salvemini – it’s a chocolate shop and the gelato buckets are hidden underneath a crafty countertop so it’s not easy to tell they do some of the best gelato in Florence. Their chocolate flavours are obviously outstanding but I do also love the white peach they do when it’s season. Perchè No on via Tavolini near Orsanmichele – if you can fight off the crowds of tourists, or just come at a time when it’s not too busy, this is a great one in the centre of Florence with a slightly icier texture but beautiful flavours like sesame and honey or rose (in season). Gelateria dei Neri on via dei Neri – for those searching for Vivoli and not finding it, this is where you should go (less hype, better gelato if you ask me). The gelato is generally a little on the sweet side here, but silky smooth and flavourful. The ricotta and fig gelato is a favourite. Grom near the Duomo on via delle Oche – this gelateria from Torino is a little pricier than the others and it’s a chain and it’s not Florentine, but they do certainly know what they’re doing. They probably do the best fior di latte, but the salted caramel also merits the long line out the door just to taste it. And if you happen to find yourself in Rome in need of a cooling gelato, check out my friend Katie Parla’s guide to gelato in Rome. 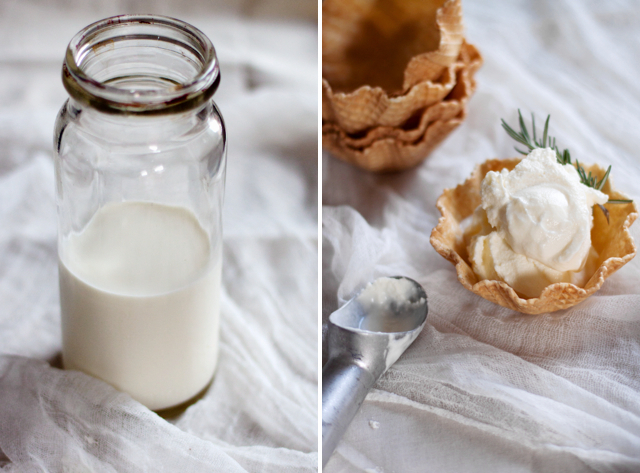 This recipe below gives the wholesome fior di latte a little ‘grown up’ touch by infusing it with rosemary. Initially, I made this rosemary fior di latte to balance the intensity and the salty kick of sanguinaccio dolce, a rich dessert of pig’s blood and dark chocolate, part of a feast that you’ll hear about this week in a series of guest posts for food52. It was so surprising and so delicious on its own that I’ve made it again and again. Pure white, silky and creamy with the flavour of whole milk and the savoury aroma of rosemary, it’s addictive and so easy to eat. If you want to try the classic fior di latte, just leave out the rosemary. 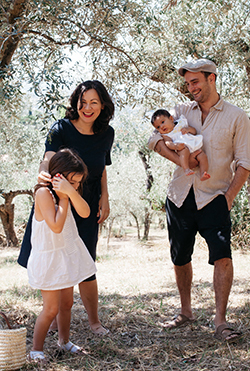 It goes without saying here that because of the simplicity of this recipe, you should seek out the best quality ingredients you can: the sweetest, most aromatic rosemary and milk that really tastes of milk – my pick would be organic and unhomogenised, and as fresh as possible. Combine the milk and sugar together in a saucepan and heat gently with the rosemary. Watch the mixture carefully to make sure it does not boil, but just reaches the point where tiny bubbles (and perhaps even a little foam) appear around the edges of the pan, then take the pan off the heat. Cover and allow to cool to room temperature, add the cream, then remove the rosemary and strain (in case any leaves are floating about). Place in your ice-cream machine according to its instructions. Homemade gelato usually benefits from a rest in the freezer for about an hour before serving if you have just made it, or if it’s been in the freezer for overnight or longer, about 15 minutes out of the freezer before serving! Without an ice-cream machine, it’s more difficult to obtain that perfectly silky texture but I have attempted it with diligent and regular mixing with a fork in between rests in the freezer with fair results. OK, you had me at fior di latte, but pig’s blood and dark chocolate? You’ve got me really curious now. This ice cream looks and sounds so luscious! I’d love to visit Florence and sample food there. What a wonderful story about gelato, its history, your husband’s preferences, and where to get the best gelatos. You must miss Italy and all that you learned there. I’ll never forget wandering around Florence and getting a raspberry gelato. I have never tasted anything in the U.S. like it. Raspberry gelato is a true delight and another one that’s amazing when it’s homemade too! I need to try the hand made gelato, it has been in my list for ages! 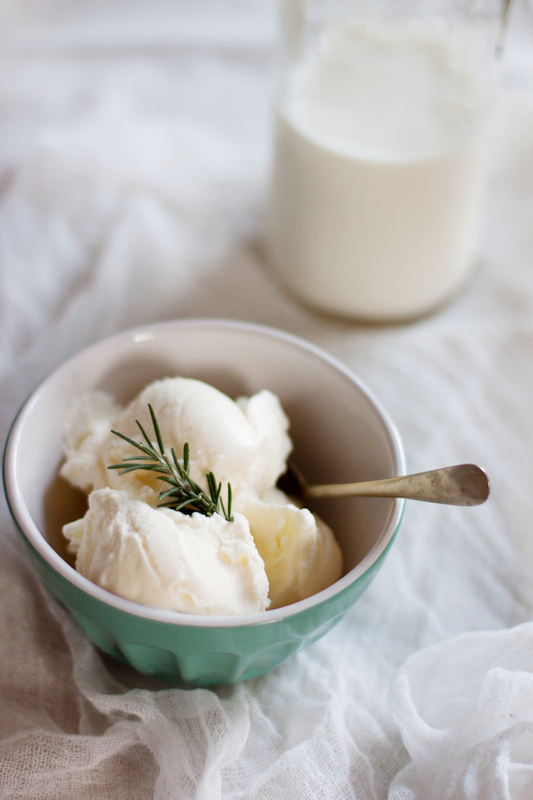 rosemary fior di latte seems so refreshing! My favourite one is Grom along with the one near ponte alla Carraia! Marco bought me the gelato maker for my birthday – such a good present! You’re right, Ponte alla Carraia is really good too, very creamy and not too sweet! Reading this makes me miss Florence… or maybe it’s just the gelato. We have a Grom in NYC but it’s crazy expensive. One of the only foodie things in the town where I live is a gelaterie. They have been there since 100 years and they only have 4 flavours every day. The gelato is silky and fresh, not too sweet and very milky. Love it! This place sounds amazing! One day I’m going to come and visit you – remember to take me there! 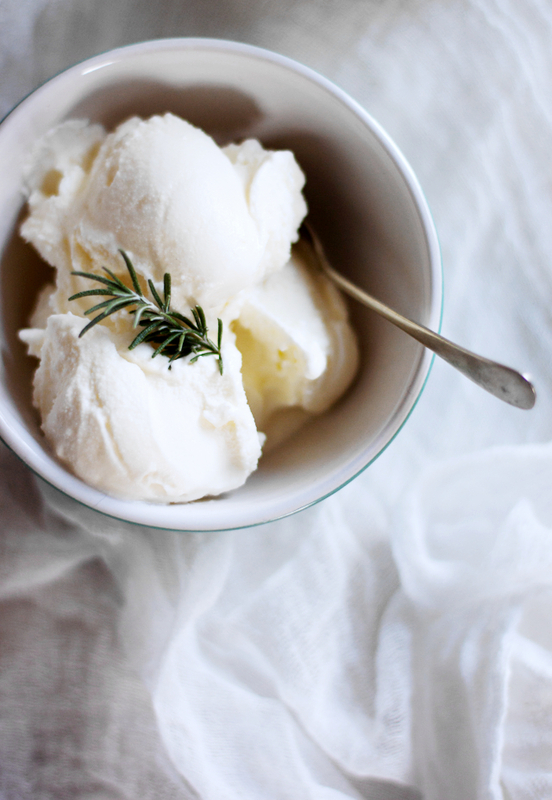 Fior di latte is one of my favourite ice cream flavours – so pure and delicate. 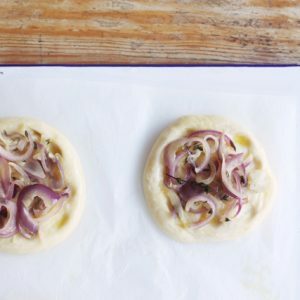 I love the idea of adding in some rosemary though – can imagine it works really well with such clean flavours. Gorgeous photos too – they look exactly how this ice cream tastes, pure as the driven snow! We first discovered Grom in Turin at Eataly and now I am busy trcaking all the Groms in Italy. San Crispino in Rome is also excellent, but our lovely friend Paolo makes my favourite gelato. Unfortunately he is no longer a walk across the river, but we makes regular expeditions to Gallicano to eat his hazelnut and pistachio gelato. I hope he will do the fig caramel again soon. Have been looking for a fior di latte recipe for AGES!!! This was perfect! Also made it with coffee beans instead of rosemary and it was wonderful. 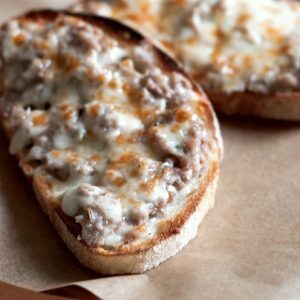 Thanks so much for this recipe! I have discovered right now your blog and already I’m in love with it! I am a tuscan food blogger. 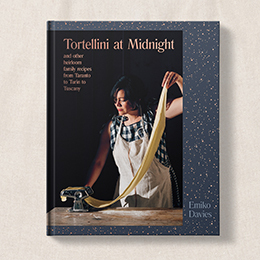 I was born and raised between Arezzo and Florence and it is great to see here the classic Tuscan recipes (especially my favourite, i crostoni con salsiccia & stracchino or my confort food too, le uova e pomodoro, for example). ! My grandfather had a passion for cooking and always followed the Artusi’s book. And so even my grandmother! I keep jealously today! Anyhow, reading the post about pan di ramerini, reminded me so much my grandmothe, because she loved them so much! I’ll certainly return to visit the blog soon!! There is inspiration to be found on every single page of your blog! Love it. Hi!! I just found your recipe and am eager to try it out!! However, I do not have an ice cream maker. Could you please let me know the procedure to make it without one? Hi Laura! I’ve done quite a few gelato recipes without an ice cream maker but I have to admit, they’re usually sorbets like this one (http://www.emikodavies.com/blog/artusis-june-sour-cherry-and-cinnamon-sorbet/) or a granita like this (http://www.emikodavies.com/blog/granita-al-melone-e-peperoncino/) and these have always come out fine – you just need to pop the gelato in the freezer and keep checking on it regularly, about every hour or so, giving it a good whisk each time. Before serving, if it’s a little hard, let it rest out of the freezer about 10-15 minutes, give it another energetic whisk, then serve. Good luck! This sounds delicious! I am doing a Renaissance project and one of the requirements is a recipe/food from renaissance times. Do you know if gelato was served specifically in the 1400s? Oh my gosh delicioussss! I have been to both Carabè and Gelateria dei Neri and just posted a blogpost on the latter. Need to try the other ones out! !